Cook and drain spaghetti as directed on package. Meanwhile, place thawed Meal Mix in large microwavable bowl or 2-quart saucepan. Microwave on High or heat over medium heat, stirring occasionally, until thoroughly heated. 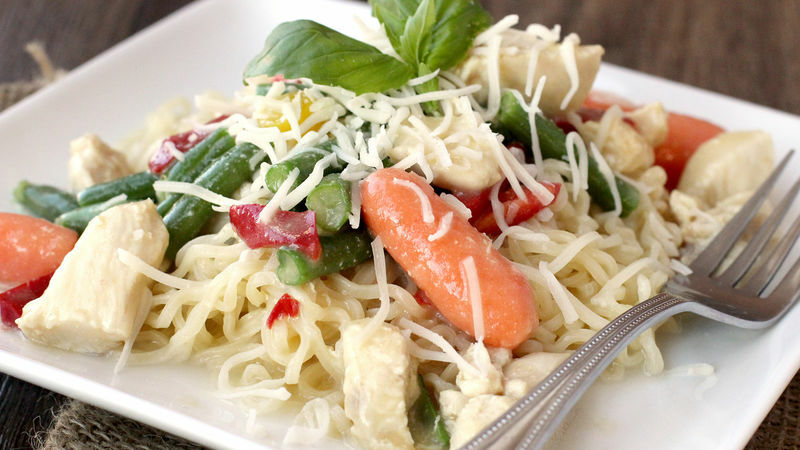 Serve chicken mixture over spaghetti. Sprinkle with Parmesan cheese.